Hollywood star Angelina Jolie has threatened to pull out of filming on her latest movie in the Czech capital Prague after being hounded by paparazzi. 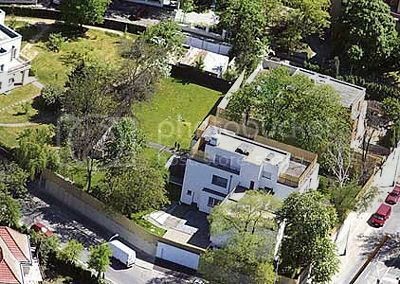 Jolie and husband Brad Pitt locked themselves away in their luxury villa in Prague after a string of incidents involving photographers. 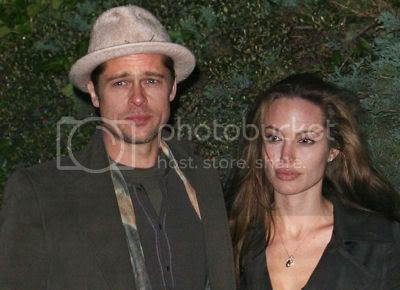 They are in Prague to shoot Jolie's latest movie Wanted. According to reports she broke down in tears and threatened to leave the country immediately after a snapper took a picture of one of her children at the luxury villa where they are staying for the next month. One of the couple's bodyguards told the local daily Aha that Jolie locked herself in one of the villa's bathrooms and shouted: "This a horrible country! I'm never coming back here again. "I don't care if it costs me a billion dollars, I'm not going to stay here another hour. Even Africa wasn't this bad." She eventually calmed down though when the photographer apologised. But the pair did not come out of the villa afterwards and local media said they had cut themselves off from the rest of the world and had abandoned planned sightseeing trips of the city. The incident came just a day after a photographer was arrested after reportedly climbing into the grounds of the villa and walking around in the garden. Police have since posted a permanent patrol outside the house and the couple have drafted in extra security guards. Local media had already warned when the couple arrived at the villa last week that their security was lax and they and their children could be in danger. They had only one security guard on duty and the fence around the villa was not high enough and anyone could easily scale it to get into the grounds.